create the United Nations Framework Convention on Climate Change (UNFCCC' in 1992. 1995 to achieve the goal of the UNFCCC. In principle C&C was agreed at COP-3 in 1997. This is in turn is overtaken by the growth-rate of GDP (the measure of increased-prosperity). This growth has become pathological & so is called 'Uneconomic Growth Disorder' (UGD). It is called UGD for four reasons. 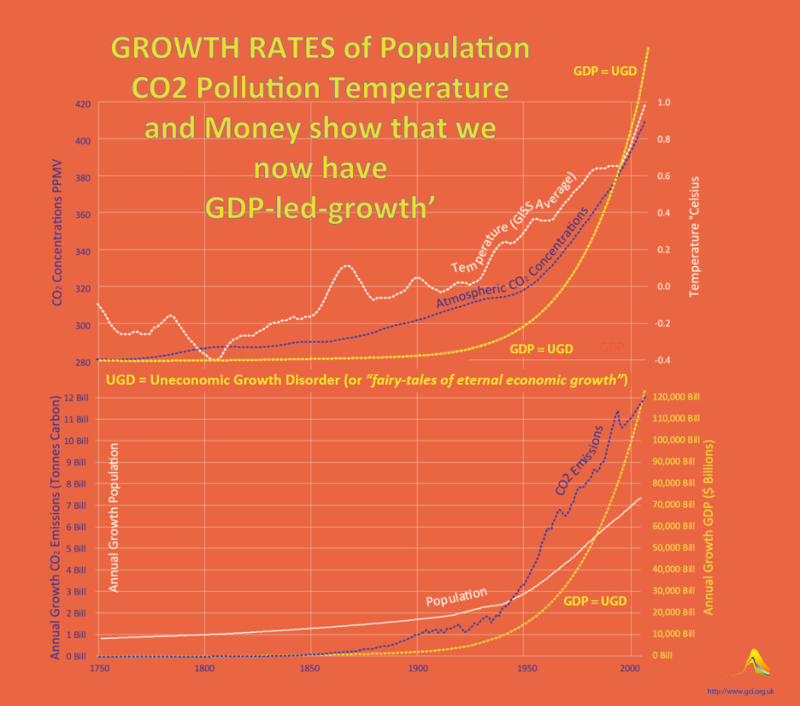 This 'economic growth' is increasingly uneconomic (onconomic) and overwhelms organic & personal growth.